Between 1775 and 1994, the U.S. military has been utilized by the President on at least 136 occasions to contain and overwhelm labor “unrest” (80 times) and racial or civil “unrest” (56 times). [Sweeney, Jerry K., Ed. (1996). A Handbook of American Military History. Boulder, Colorado: Westview Press, pp. 3-269]. But “A Report Submitted to the National Commission on the Causes and Prevention of Violence,” Violence in America: Historical and Comparative Perspectives [Graham and Gurr, Eds. (1969). Bantam Books, p. 380], discloses over 160 occasions on which State and Federal troops have intervened in labor disputes alone. Note, that this figure includes use of State militia as well as US military. This is twice the number of military interventions into labor disputes than reported in Sweeney’s 1996 Handbook of American Military History (above). 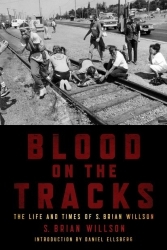 “According to the foremost historians of American labor violence, the U.S. has had the ‘bloodiest and most violent labor history of any industrial nation in the world.’ An admittedly grossly underestimated tabulation of the number of casualties in labor disputes indicates over seven hundred deaths and thousands of serious injuries, almost all of which occurred in the 1873-1937 period” [Goldstein, Robert Justin. (1978). Political Repression in Modern America, From 1870 to the Present. Cambridge: Schenkman Publishing Co., Inc., p. 3; Graham, Hugh Davis, and Ted Robert Gurr, Eds. (1969). Violence in America: Historical and Comparative Perspectives. New York: Bantam Books, p. 380]. In 1878 Congress passed the Posse Comitatus Act (18 USCS Sec. 1385) making it illegal for the government to deploy its military against “civil disturbances.” Since the passage of this law, and despite its provisions, there have been at least 114 instances of use of U.S. military against its own citizens participating in “unrest,” 1878–1994 (Sweeney, A Handbook of American Military History, pp. 102-269). However, in recent years the Posse Comitatus Act has been eroded even further by (1) amendments and secret executive decrees that enable the president to use the military to restore order if enforcement of the law by civil authorities is not able to “quell civil disturbances”; and (2) the alarming extreme militarization of domestic police departments all around the country [Churchill, Ward. (2003). Perversions of Justice: Indigenous peoples and AngloAmerican Law. San Francisco: City Lights, pp. 363, 398]. Furthermore, use of “noncombat” employment of military personnel have intervened under the aegis of the ”War on Drugs” and war on so-called immigrants. NOTE: When the figure of 136 domestic US military interventions, or the higher figure of 216 [56 military interventions into racial or civil unrest (Sweeney) plus 160 into labor unrest (Graham and Gurr)] is added to 560 identifiable overt foreign military interventions, 1798 – 2008, the total of US overt military interventions, foreign and domestic, is 665 (or 776) US Military interventions. Since the date of the first domestic intervention was 1794 (Whiskey Rebellion), and first foreign intervention was 1798 (Dominican Republic), and these figures cover the period of 1794-2008, a period of 214 years, a US military offensive operation, domestic and foreign, has been conducted an average of anywhere from 3.2– 3.6 times per year to preserve the American Way Of Life. This entry was written by brian, posted on at 5:28 pm, filed under Brian's Blog, The Most Dangerous of Rogue Nations: The United States, Challenging Traditional Patriotism. Bookmark the permalink. Follow any comments here with the RSS feed for this post. Post a comment or leave a trackback: Trackback URL.